the adventures of Sam and Ben and their parents . 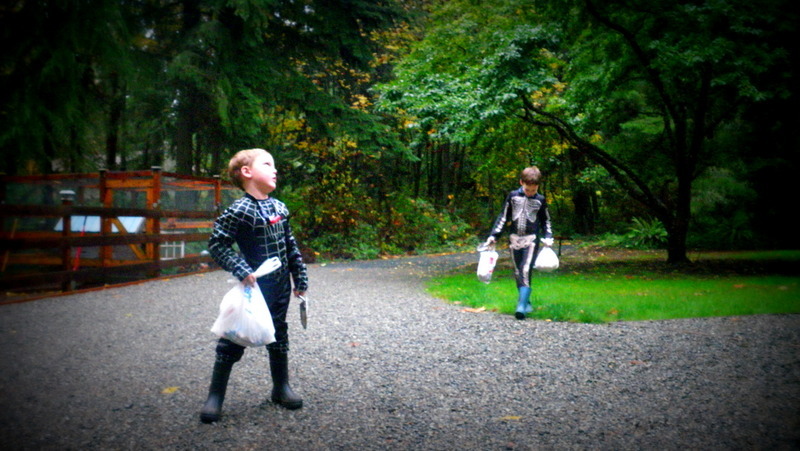 . .
Ben and Sam all dressed up in costume, hiding candy in stashes out in the woods. 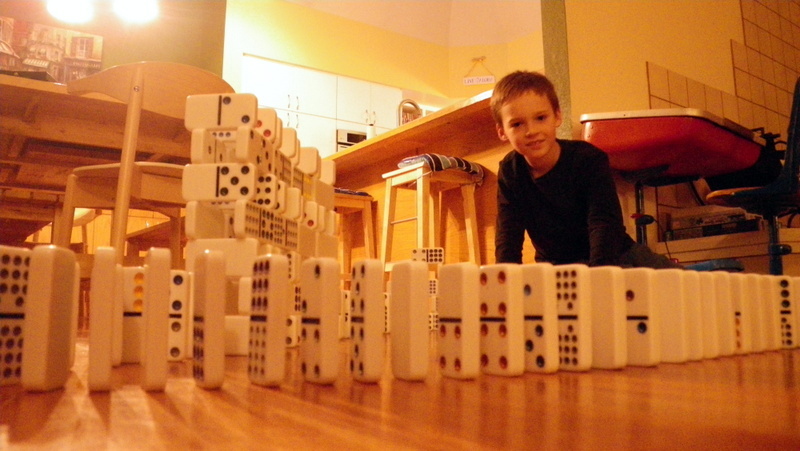 More elaborate plans were in the offing, until I got under the weather. Six inches of rain didn't help, but it lightened up enough from 4-8 for all of us to enjoy being outside! 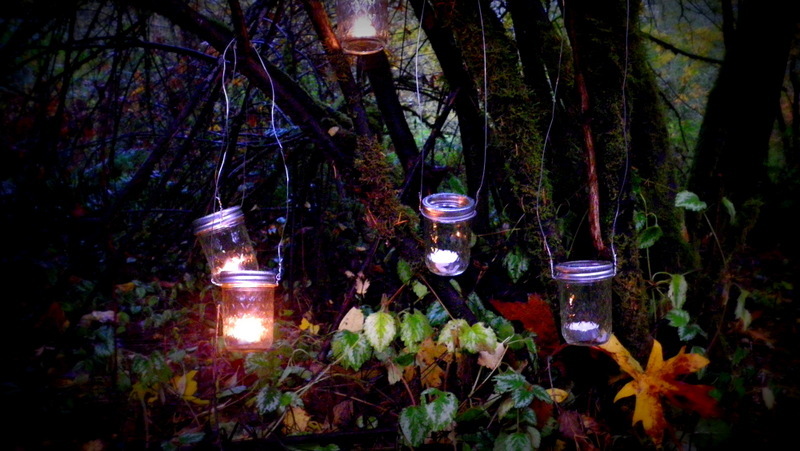 I made lanterns to light up the woods and the boys grabbed lit lanterns off the table and hung them up in the woods. It was really cool to see them sparkling out there. 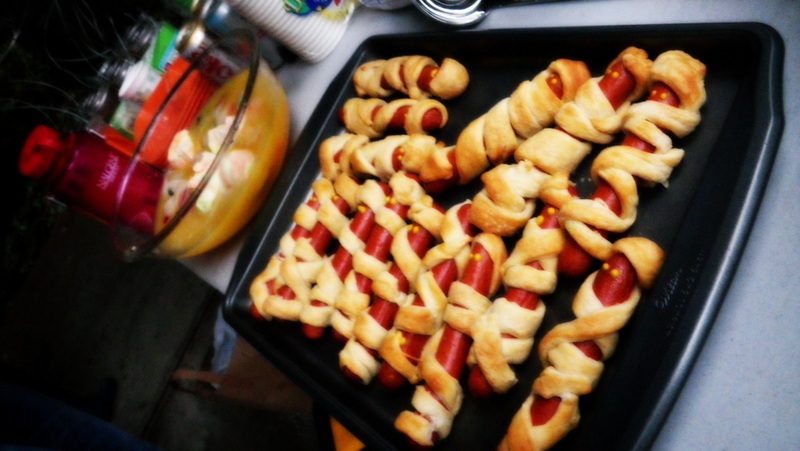 They held up pretty well despite wind and rain. I had op-tested one in a pretty exposed place a week ago when I got the idea, so I figured most would work ok. I found 18 of the 24...must wait for tomorrow. Thankfully everything is so wet you couldn't start a fire if you wanted to. I know - I built one in the car port and needed to resort to a fire starter thingie. 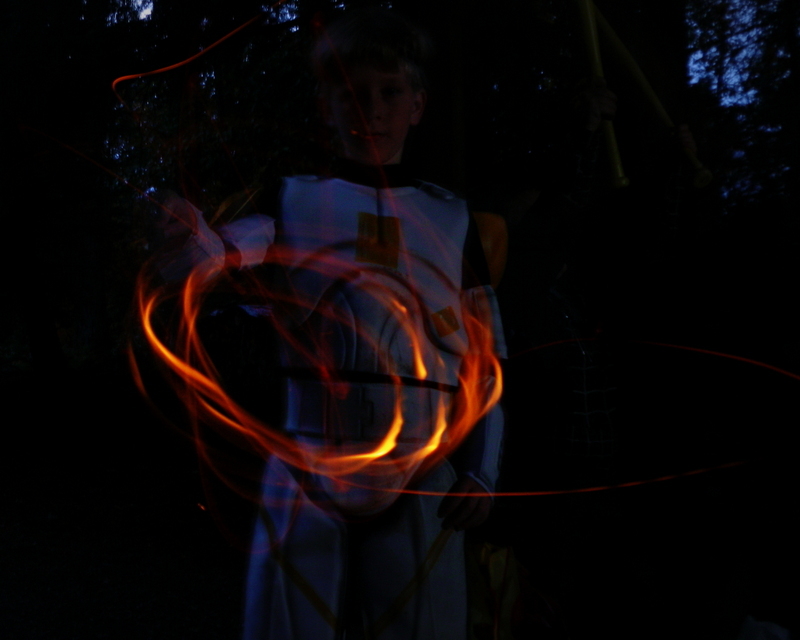 Closing ceremonies, such as they were, was sticks poked into the fire then twirled around to make cool designs. The boys loved this. They always do! So I decided a few days ago to plan on it, and let them do it. Good thing Dave wasn't home to oversee sparks going everywhere on the ground...but it was wet anyway. Really no worries. No one got hurt and we got some good shots! Happy times for my two boys. They really enjoyed themselves. And that makes ME happy as can be. Off to bed now! 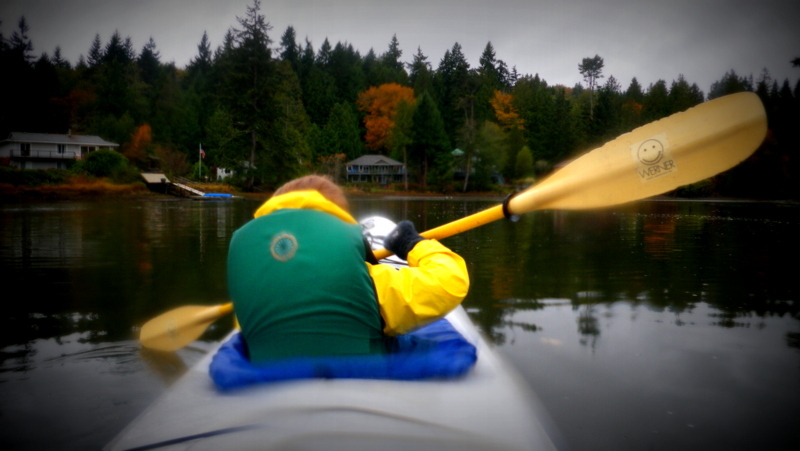 Salmon Kayak Tour – rainy, but awesome! 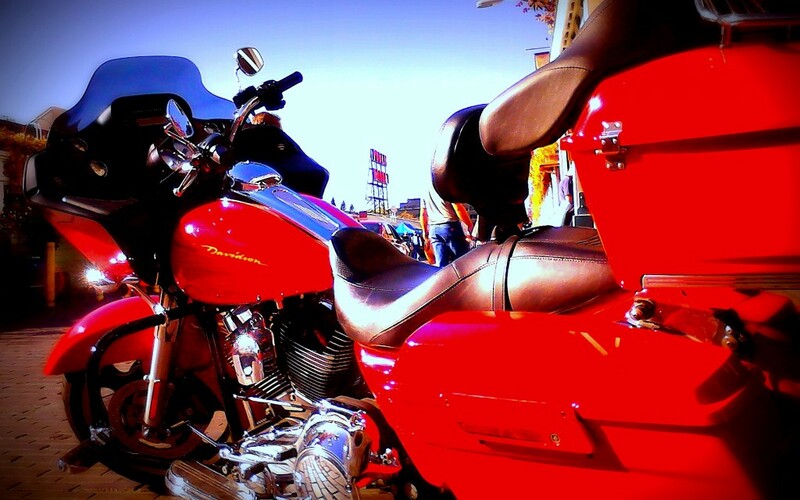 The boys and I were hanging out eating some frozen yogurt and spotted this gorgeous motorcycle. Unfortunately he got a ticket while we were there, but the sign behind (PIKE MARKET) is pretty cool! 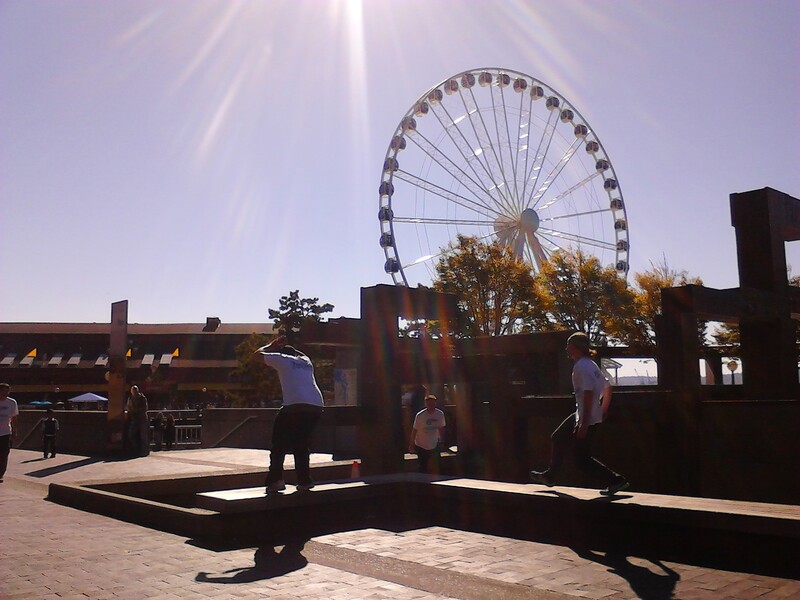 Dave treated us all to this crazy ferris wheel - the second tallest in the US! The boys loved it. I enjoyed it as long as I didn't think about being trapped in a tiny glass enclosure 200 feet above the ground, and hanging out over the water.